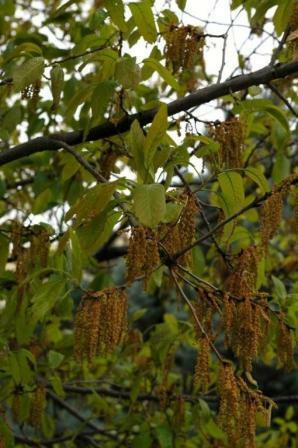 TYPE: Deciduous to semi-deciduous shade tree in most of the state, evergreen in the southern tip and in Mexico. NATURAL HABITAT AND PREFERRED SITE: Native from Eastern Mexico and Guatemala to far south Texas. There is a grove growing near the Devil River in Val Verde County near Del Rio. 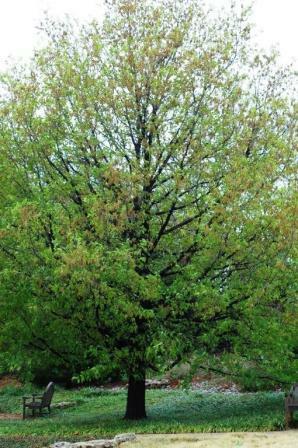 IDENTIFICATION INFORMATION: Monterrey oak is a deciduous to evergreen medium sized shade tree that has thick, rounded, dark green leaves. It ranges from deciduous to evergreen and has little to no fall color. 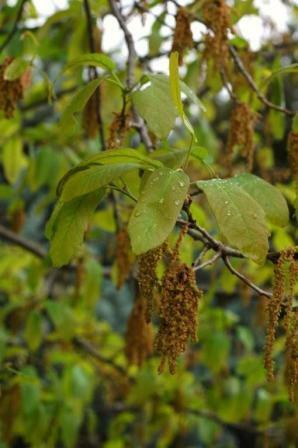 FLOWERS AND FRUIT: Male and female flowers (catkins) on the same tree. Fruit are acorns that produce annually. BARK: Smooth texture and light gray when young developing a heavier texture with age. FOLIAGE: Leathery blue green leaves that are 3 to 4 ½ inches long, untoothed, rounded, smooth surfaced and dark bluish–green. CULTURE: Easy to grow in well-drained soil with one exception - freeze damage is a possibility in the northern part of the state. It has done very well however in the Dallas/Fort Worth area through several severe winters. PROBLEMS: Few other than possible freeze damage in the far northern part of the state. PROPAGATION: Propagation by planting the acorns. INSIGHT: Beavers seem to love chewing on this tree - learned that the hard way. Monterrey oak is said to be a trademarked name owned by Lone Star Growers of San Antonio although that may have been changed.